Basements in both residential and non-residential buildings are regarded as a high-risk zone. They house important wirings, plumping systems, generators and a whole lot of other items. Sometimes, they may play host to uninvited guests like moisture, mold, flood water and pests. These unwanted agents corrupt indoor air quality and eventually the occupants living in a building become vulnerable to some major ailments. Call us at (630) 934-1477 today! Regular basement inspection, cleaning and waterproofing/weatherproofing from a full-service light environmental company like AdvantaClean of Dupage County is imperative. We handle emergency issues in basements and crawlspaces requiring waterproofing and mold remediation. Our highly trained and professional technicians treat basement problems with promptness, efficiency and thoroughness. They make basement waterproofing a hassle-free and less disruptive activity. AdvantaClean of Dupage County is an AdvantaClean franchisee in Naperville, Illinois. Honored as the AdvantaClean ‘Franchise of the Year’ for 2013, we restore indoor air quality that has been affected by mold, moisture, foundation damage, water seepage etc. in a basement area. In other words, we make the air in every home and commercial center fit to breathe. We follow industry-prescribed and industry-approved basement remediation process that includes: basement water clean up, moisture control, mold removal, crawl space encapsulation, and routine maintenance. Our top priority is customer satisfaction and that’s why we make it a point to assist our clients in every way possible. 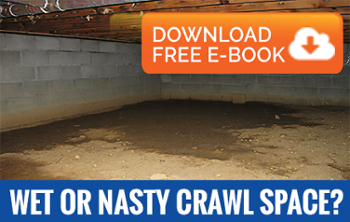 Wet and moldy basements not only ruin your property’s value but your health also. We help restore both with equal dexterity. Call AdvantaClean of Dupage County today AT (630) 934-1477!